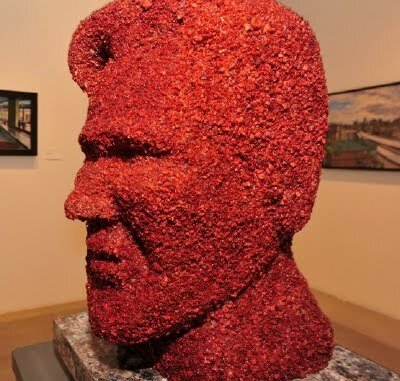 A bust of the famous actor, singer Kevin Bacon has been created out of bacon and bacon bits. This isn’t the first time food sculpture has been used to promote a product but this time it is being auctioned off on E-Bay for charity. FOR SALE - Life size bust of Kevin Bacon made entirely out of bacon with ALL PROCEEDS for charity and YES this is really real.